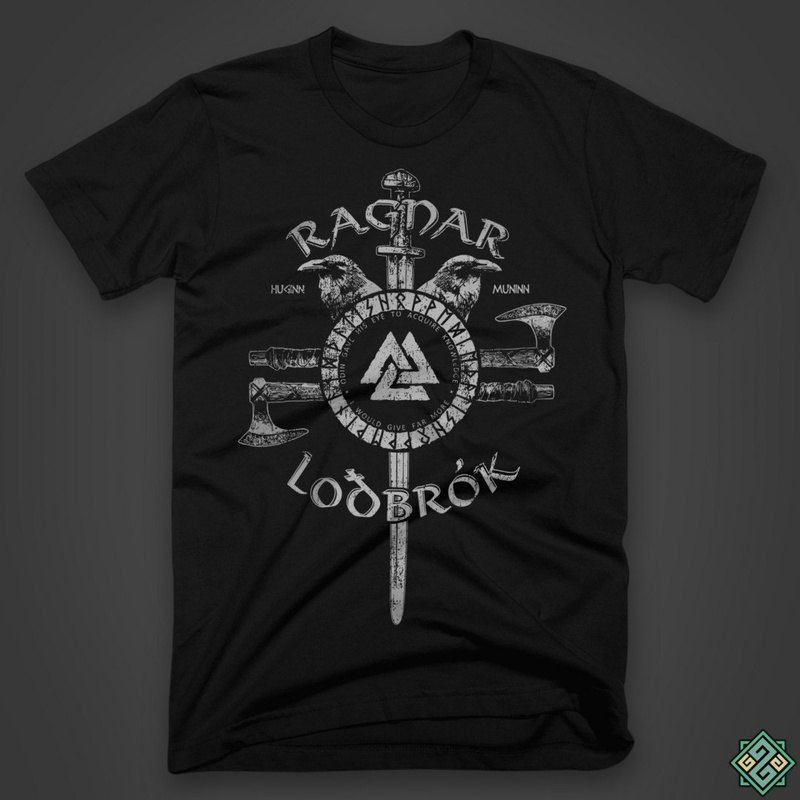 Join Ragnar Lothbrok and his raiding party on their journey to the West. Conquer the land, gather riches and fight to earn your place among the warriors of Valhalla. 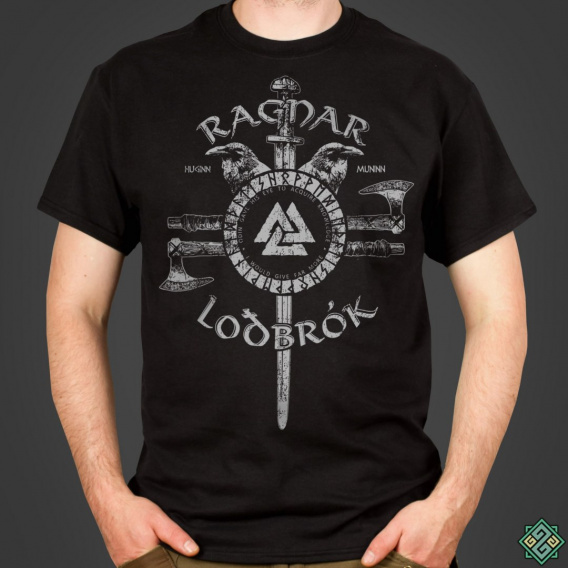 May Odin be your guide and may Huginn and Muninn grant you wisdom and victory! 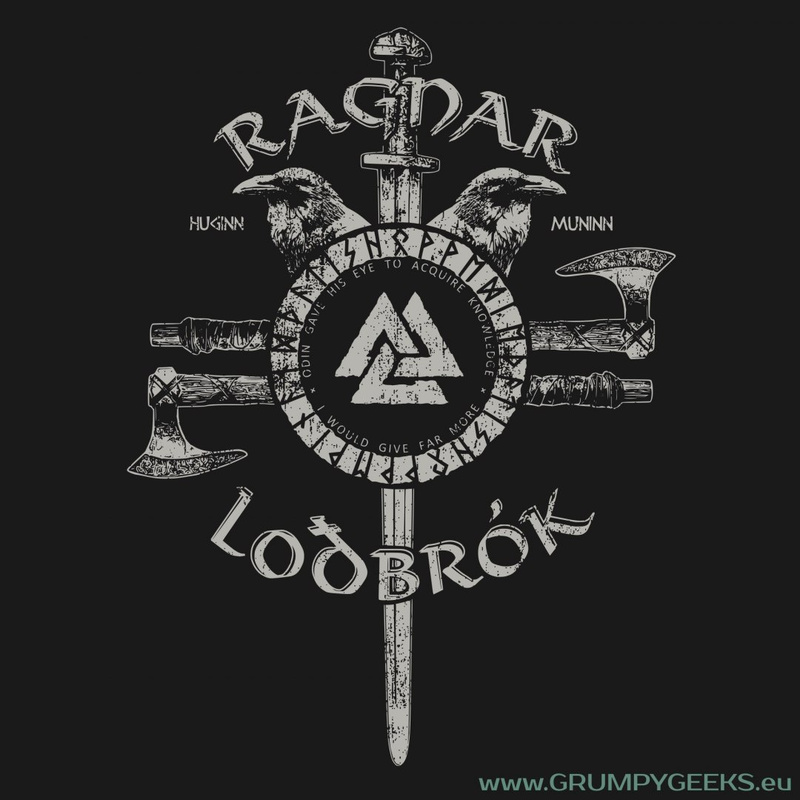 The Valknut sign sits in the middle, while the encircling inscription in Futhark reads: That is how we win and that is how we die.